Yesterday Apple unveiled iOS 8, the new Apple operating system upgrade that will come out this fall. 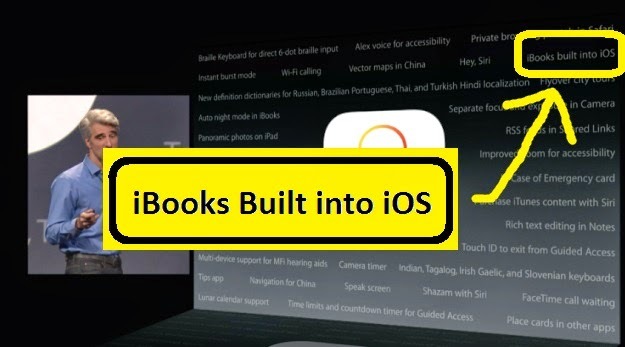 Buried in a slide during the live demo event referenced as "iOS 8 features we didn’t have time to talk about" was an ebook retailing bombshell: iBooks will come pre-installed on iOS 8. The iBooks app is Apple's ebook store. Inside that app are over 250,000 books from Smashwords authors. This is a game-changer for ebook retailing. 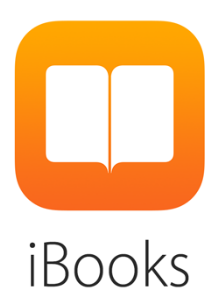 iBooks will come pre-loaded on every device with iOS 8. According to the latest public information, there are over 800 million devices (iPhone, iPod touch, iPad) running prior versions of Apple's iOS. The new iOS will be available as a free upgrade to users of the iPhone 4s, iPhone 5, iPhone 5c, iPhone 5s, iPod touch 5th generation, iPad 2, iPad with Retina display, iPad Air, iPad mini and iPad mini with Retina display. Prior to iOS 8, readers who wanted to shop iBooks were forced to click to the Apple App store, search for the iBooks app, sign in with their email address and password, and then install it. The absence of a pre-installed app created unnecessary friction. It means only a fraction of Apple's customer base today has convenient access to your books (which makes the enormous success of iBooks all the more impressive). Yesterday's news means iBooks will become ubiquitous. It'll be like having a bookstore in nearly one billion pockets and purses. It's not a stretch to speculate that within a couple years, the iBooks app will be ever-present on over one billion devices around the world. Apple's brilliant move will place your books just one or two clicks from being discovered by readers. How can you make the most of this new development? Make sure all your books are at iBooks ASAP. As we announced May 18, Smashwords now delivering ebooks to iBooks five times daily, seven days per week, and many of our books and preorder listings are going live in the store within hours of us delivering them. If your books are locked in the dungeon of exclusivity elsewhere, release them today on Smashwords! If you're not yet on Smashwords, click here to get started today. Promote direct hyperlinks to iBooks. Make sure that on your blog, website and in all your social media promotions that you're providing a direct hyperlink to your books at iBooks. With a direct hyperlink, your book page will open directly within the reader's iOS device, and with another click they can purchase it. Use Apple's Link Maker or Widget Builder tools to find links or create attractive widgets that point directly to your book at iBooks. Link your series with Smashwords Series Manager. If you write series, make sure your books are linked with Smashwords' Series Manager tool, which you'll find in your Smashwords Dashboard. We pass this enhanced metadata on to iBooks, and they use it to make series books more discoverable. Also referenced in fine print on the slide above is a mention of enhanced series listings in iBooks for iOS 8, which means we can expect the Series Manager metadata to become more important than ever to iBooks merchandising and reader discovery. Mark, that's all great news, it's a move that only makes sense. I applaud Apple for that. However, I am forced to stop using the Series Manager when it comes to getting titles into the Apple store. The first time I used the 'pre-order' option on my title called Castle of the Damned - a short story - it was in a series called 'Short Story Hodgepodge' where all of my short stories were lumped together. It made sense. People were happy to see if a title was a short story at a glance. All of the other Short Stories were already int he Apple store, so they were grandfathered in under that series title. But... Castle of the Damned generated a vague ticket, saying the 'subtitle' was missing or spelled wrong. Well, it was confusing because there was no subtitle on the cover or the meta data. It took a combined effort between me and your support team to find out the problem. Since 'Short Story Hodgepodge' wasn't on the cover or metadata, Apple refused to list the book. I could only resolve that by removing the series from all of my short stories. Then they listed the title... but by that time, there was only a week left before the pre-order was to go live. Because of that, I lost a lot of promotion time for the Apple listing. So I am forced to not use the series manager if I want any future titles to go into the Apple store and actually not generate a ticket. You said: "If your books are locked in the dungeon of exclusivity elsewhere, release them today on Smashwords!" Most of my ebooks have gone directly to Apple for the simplest of reasons. InDesign lets me export an Apple-specific ePub 3.0 file that Apple takes without a hassle. Smashwords will only take an ePub 2.0 and for my last ebook, Smashwords staff to pass it on manually because its complexity was flagged. There are undoubtedly advantages to reaching Apple through Smashwords for those who write in Word for Windows. But it's an added hassle for those who don't. ePUb 3 support would help. Some tool to generate a Kindle version from an ePub would help too. Amazon turns my epub into mobi/KF8, so it's not impossible. I also wonder why, since I can generate a top-notch PDF from InDesign, I can't simply supply it to Smashwords for customers. Only have an ePub 2.0 version hurts sales. This is great news, Mark. I don't understand why Apple didn't do this much sooner, but I'm sure it will cause quite an uptick in their ebook sales. My books have been exclusive with Amazon for a good while, but now I'm bringing them all back to Smashwords as they complete their 90 day runs. Even when I was with Smashwords previously, I was dealing directly with Apple and Barnes and Noble because I didn't like the lag time when making updates. But now you've fixed that issue, so I'll be using Smashwords to distribute to all stores except Amazon. Great job on making so many valuable distribution deals! I format my books in ePub via Scrivener and upload them to Smashwords, and it works well. But for the samples and the books in other formats, such as PDF and MOBI, I am still forced to upload them in Word. I believe I read somewhere that you were working a change that could convert ePubs to the other formats. Is this correct, and if so when will that functionality be available? Daniel, it sounds like there was some kind of unfortunate disconnect there because the name of the series does not need to be printed on your cover image. I'd encourage you to re-link the titles in Series Manager and try again. Sorry to hear about the delays this caused! Inkling, EPUB3 support is coming. Stay tuned. We've got a backlog of cool new features and enhancements coming so one thing at a time. Robert, great to welcome you back! Yeah, our distribution systems continue get more and more robust, and our retailers have also make great improvements over the last couple years as well. More new distribution-related features coming soon that I'm sure you'll appreciate. Thanks for the info, Mark. Sounds good. "Some tool to generate a Kindle version from an ePub would help too." Especially if you publish in english. For 100 eBooks in German that I sell via Amazon, I sell one via Apple. Apple makes some severe mistakes inside the iBook store for German readers and probably for other languages as well. I was surprised to find out that iBooks wasn't installed by default on my new iPhone 5C when I tried to download the Swift Programming Language ebook after yesterday's WWDC announcements. DOH! The timing is good, especially with Amazon and Hatchette going toe to toe right now. We need another major player besides Amazon to keep the percentages to authors as high as possible. 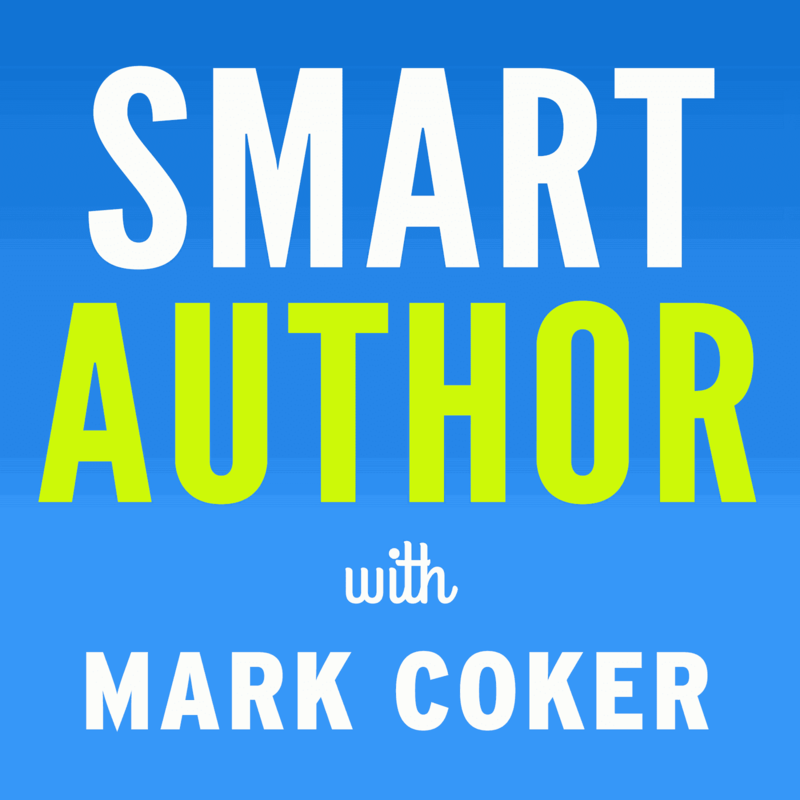 Mark, I don't have individual links to my ibook selections yet, but do have a search results page a reader can go to, to see my list of ebooks & audio books (the latter via ACX). Any other suggestions I could use to improve on that, short of individual books? @adan - I have 59 SHORT ebooks (i.e., short stories, essays and poems). Each web page has multiple store links. It's easier to manage if you keep all your ebook info in a database program (I use Bento). By exporting the data into a spreadsheet, I can run a Python script to parse through the spreadsheet, visit 600+ websites, take a screenshot of each one, and build a webpage that allows me to browse through 600+ websites in 15 minutes. This used to take me a whole weekend to review 600+ webpages by manually clicking each store link. @cdreimer - That sounds like a great idea, but not one I can do right away. Would need to accumulate all that info, and, i all fairness to Barnes & Noble, Koto, Scribd (the three that I can also find specific book links for) I'd need to do those also. An author's page would be good also, and I do use the search results url for my name for the four. Scribd, btw, has an author page for me, which really helps. Maybe someone at Smashwords could chime in also. Mark wrote: "EPUB3 support is coming. Stay tuned. We've got a backlog of cool new features and enhancements coming so one thing at a time." Please tell me it includes fixing the incorrect validation reporting for the com.apple.ibooks.display-options.xml file required by Apple for ebooks with embedded fonts. Should be an easy software change, given that it's not invalid and is not in the epubcheck script out-of-the-box. Mark, the Apple linking routine is useful, but creating individual links to each and every Apple store is not only onerous but probably difficult to navigate for the consumers. A generic link that identified the country of origin of the search that directed to the appropriate Apple store would be cleaner (or as Amazon does it, when I open a link to one of my nooks in a non UK Amazon store it politely notes that I'm from the UK and generates a link to the UK store). Possibly a country drop down box with the links under the country name that could be embedded in blogs, webpages, emails would be neater. Possibly something one of the Smashwords tech programming savvy people could produce might be an idea. Why the excitement? This is neither great nor evil -- it's just one more thing authors have to deal with. Ask yourself why that 'friction' existed in the first place. The answer is that it existed because Apple was afraid of the fallout if they pushed their platform-exclusivity agenda farther. All this means is that something happened to make them stop being afraid, so now they feel free to go big on ebook platform exclusivity. What this means for authors is that you have to pay attention to all platforms. If you focus on iBooks, you're losing at least half (and probably way more than half) of your market. Actually Apple have been one of the best of the Smashwords distributors fro Moulin Publications next to Kobo. So quite excited to see that buying Apple books is about to become a whole lot easier. Grammar, Mark! "Inside that app are over..."
Nice. Didn't know about Apple's Link Maker for widgets. This is simply fantastic news! THANK YOU for keeping everyone informed. Very nice news. 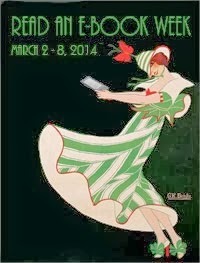 This means fewer steps readers using iOS 8 will need to take to access ebooks. Our ebooks! Adan, I see you're linking to your author page at iBooks at https://itunes.apple.com/us/artist/felipe-adan-lerma/id507941841?mt=11 so that's a good start. Rob, I'll ask the engineers when we get there. Ray, it's not necessary to link to each of the 51 stores. Link to one store because I'm fairly certain it'll automatically switch the customer to their proper store. escoles, this is neither about good nor evil. It's great news for Smashwords authors because they'll reach significantly more readers without lifting a finger. The reason they didn't do this earlier was technical and logistical. Any speculation to contrary makes for great conspiracy theories but not great truth. Apple has consistently iterated and improved their store since they launched four years ago. I expect this to continue. They're always working to improve customer experience, so this is a big move in the right direction. Oh, cool. And it is fast. I updated a book last night and it was at iBooks in the morning. Thanks for the comment. I've previously created links to the top ten countries that hit my blog, as that has the most relevant data I can find (sales are too small to use the Apple data). When I check the links on my PC they take me to the relevant store, but following your comment I just tried it on my wife's iPad and it seems to go straight to her account wherever the link pointed to. So it looks like I've got nine links too many for Apple! Thanks Mark & the Team. I enjoy reading your updates and very excited that my Books have been embraced by iBooks due to all your hard work. Looking forward to a long association with Smashwords! "Make sure all your books are at iBooks ASAP. " For the benefit of those of us whose first working computer program was typed in Fortran using Hollerith cards, pray tell: Exactly which setting on my dashboard do I set which way to cause this to happen. I see a stack of formats like ePub, and checked all that I see, but I do not see an "Ibooks" setting. Yes, I realize this question ranks with the -- power-deploy coffee cup holder on computer chassis has no central hole -- complaint. George, the first thing to do is make sure your books are opted in to Apple. You can do this from your Dashboard's Channel Manager screen. If your books are already there, you're set. Thanks for pointing out the Apple widget. If only the pesky thing would generate code, then I'd be able to use it! I currently sell far more via Apple, and also Barnes & Noble, than I do via Amazon so anything which helps people to find my books is a good thing.